Are you looking for Frank? 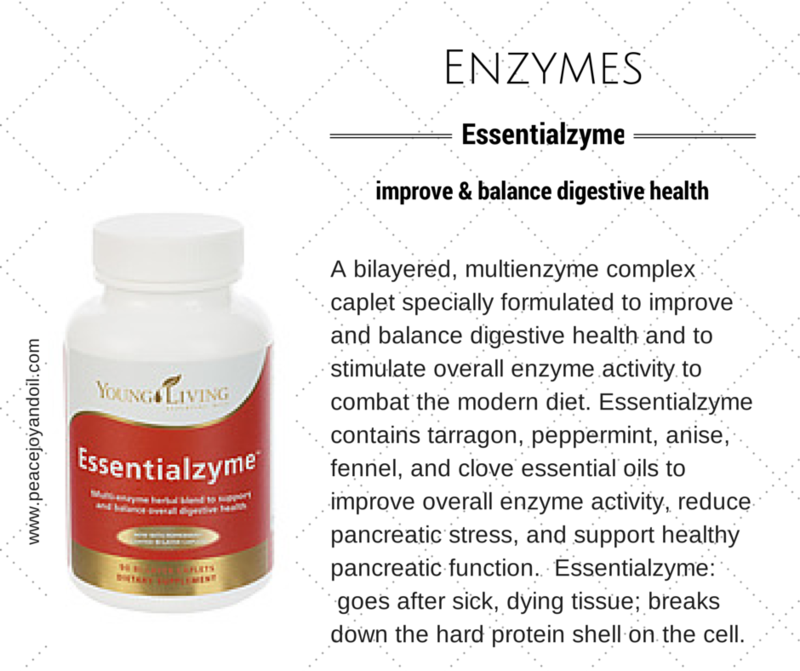 One of my very favorite Young Living products is going on sale tomorrow! You want to be happy? Order Mint Satin Facial Scrub. Keep it in your shower and use it every morning. It will brighten your day!!! We have found something new to do in our house for birthdays. We have several birthdays in August and this year I wanted to try something new to make our oldest son feel special for his birthday. 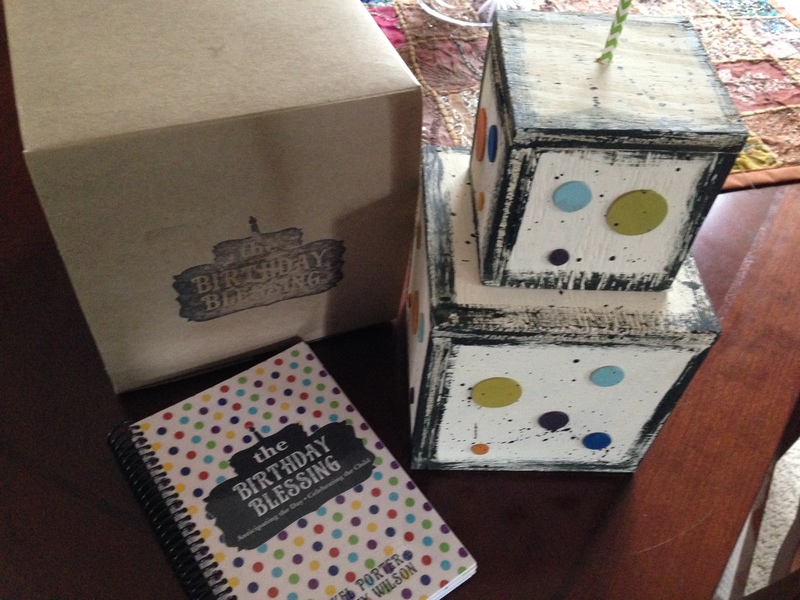 It comes with a wooden cake that you can put out for the entire birthday month or get it out the week of and put it in a place of significance. When they see the cake set out the month of their birthday they will get excited. It’s like saying, It’s time to celebrate you! It also comes with a journal. The journal has places to fill in how they have grown, changed, and attach a picture. I had my son fill it in so that we could see how his handwriting changes each year. It will also be neat to see how his wording changes. When filling out the journal my son and I sat down at the table together and it gave us time to reflect over the year and for me to encourage him and help him see how much he has changed. By the end he was sitting much taller and more proud! I wish I would have had this from the beginning with all 3 of my kids! 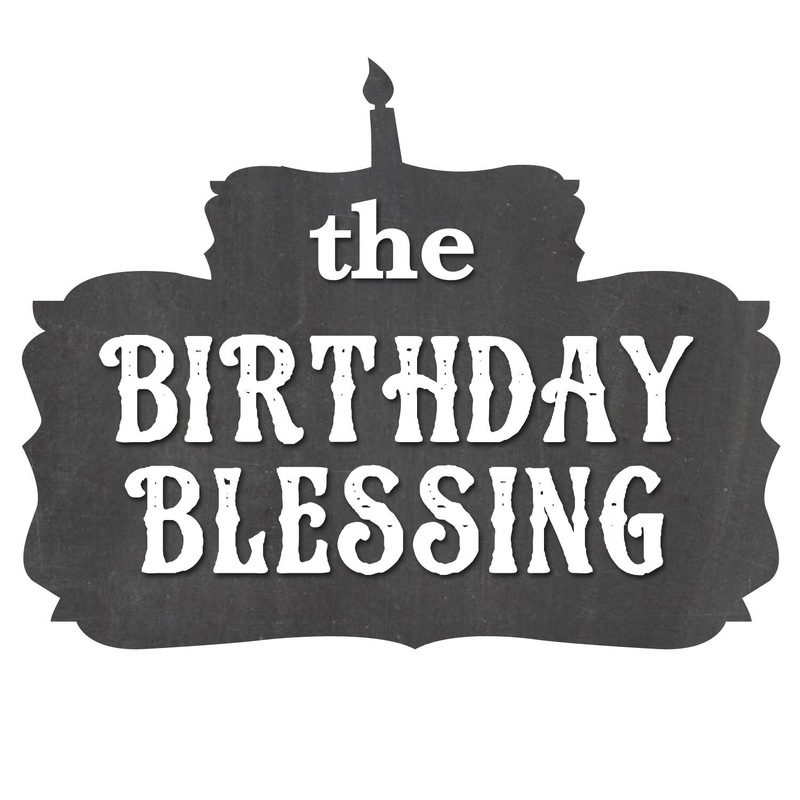 And the wonderful ladies over at The Birthday Blessing want one of you to have your very own, for FREE! 1. 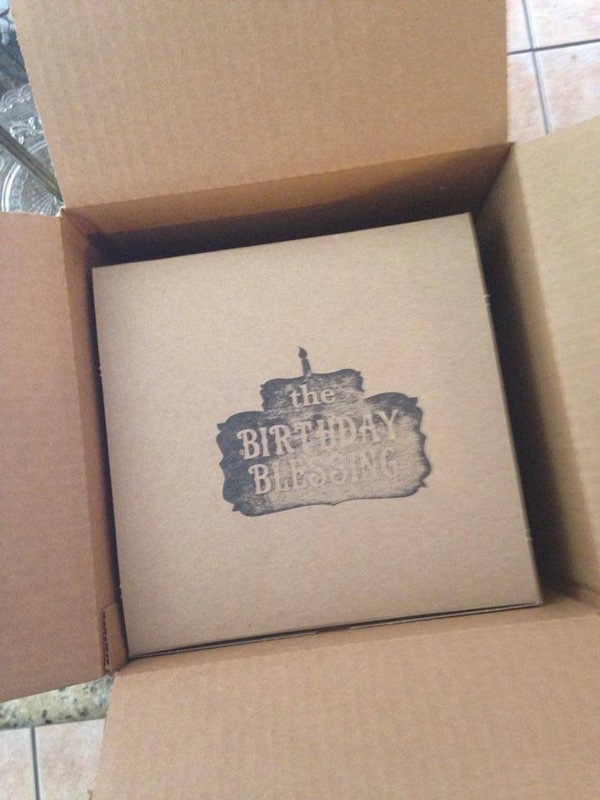 Go Like The Birthday Blessing on facebook! 2. Go Like Peace Joy and Oil on facebook! 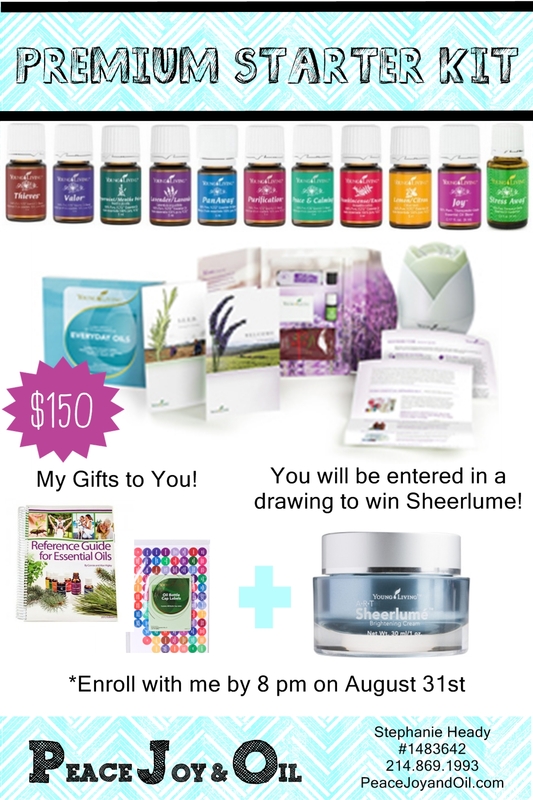 Please leave me a comment and let me know how many ways you entered. The giveaway will end September 29th at midnight. I will draw and announce the winner on September 30th. Sorry, I’m late announcing the winner! The winner is Jacy Phillips!!!! 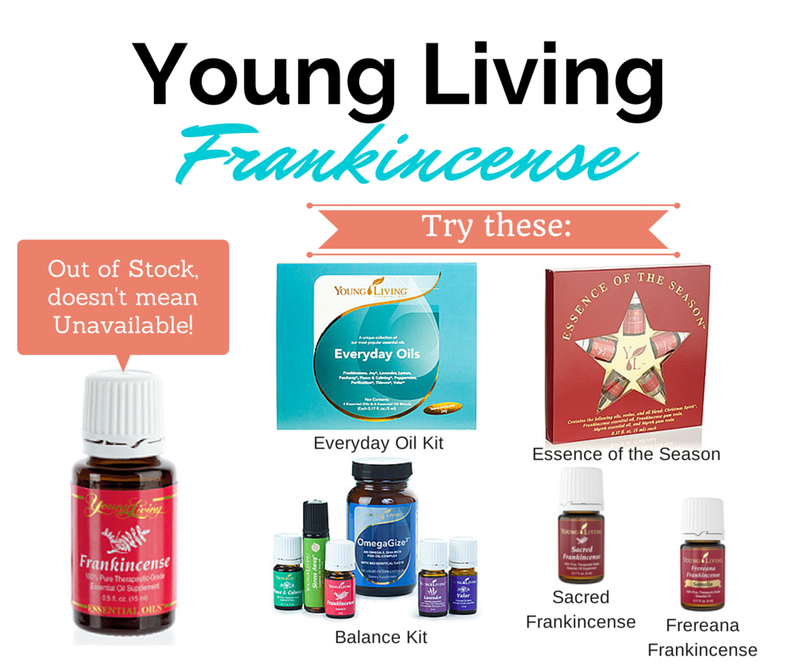 If you have been holding out for any reason on trying Young Living Essential Oils. Now is the time!!! Never before has such a great value been offered. 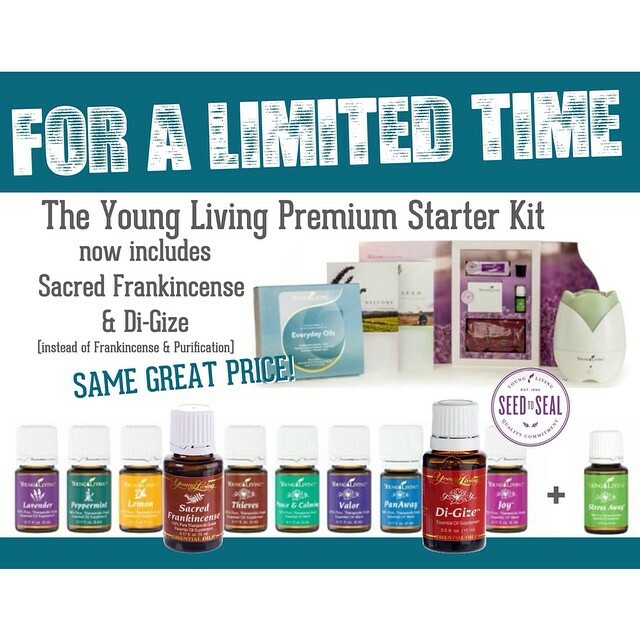 Young Living for a very Limited Time is offering an even greater value in the Premium Starter Kit by replacing Purification with DiGize and replacing Frankincense with Sacred Frankincense for the same great price. 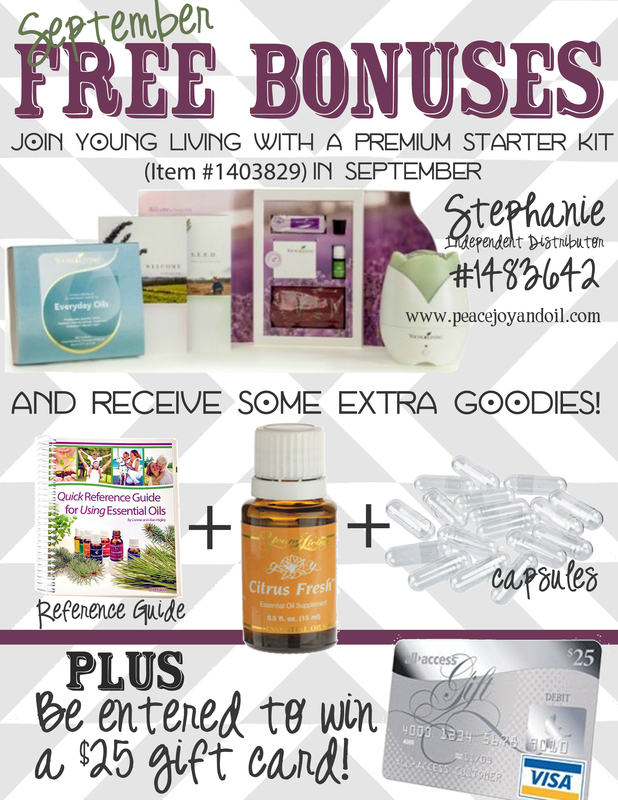 And because I am trying to reach a goal it works out to your advantage, because I am offering freebies for anyone who enrolls for a Premium Starter Kit with me this month. To top it off I am doing another drawing depending on how much you spend. 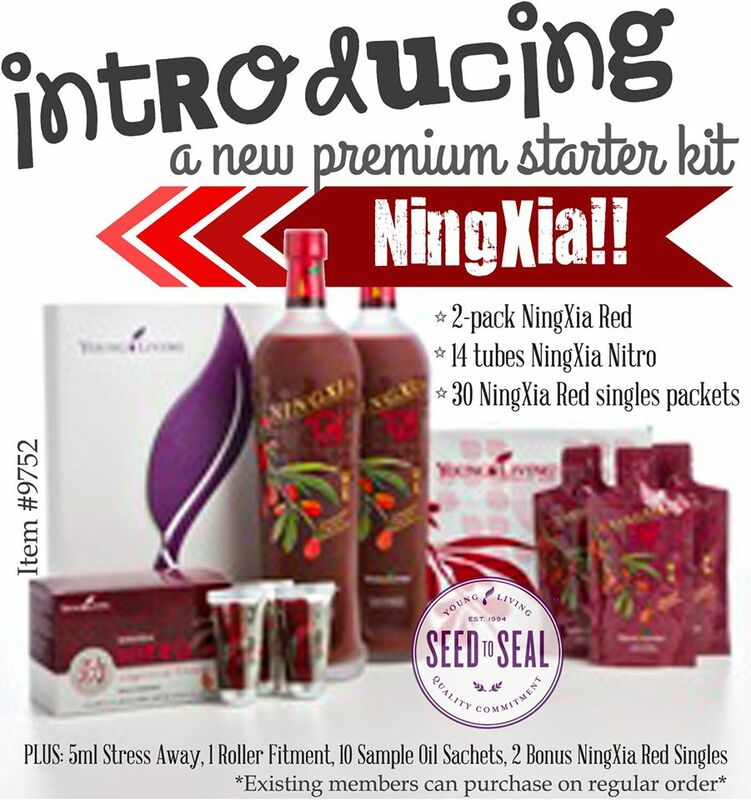 So just by buying the Premium Starter Kit you will be entered once into a drawing for a $25 gift card and you will be entered once into a drawing for 1 bottle of Ningxia Red, 1 box of Ningxia Nitro or 14 packets of Ningxia Red. 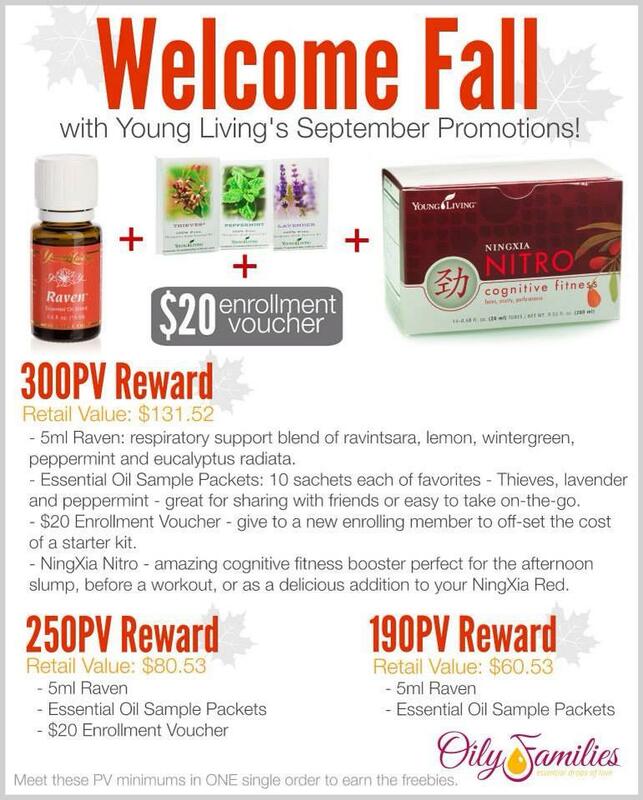 If you were to purchase a few additional items along with your PSK (premium starter kit) to make it 200PV you will be entered 3 times into the drawings listed above and Young Living will send you Free stuff as well. Wow!!!! This seems to good to be true, but I assure you it is true. 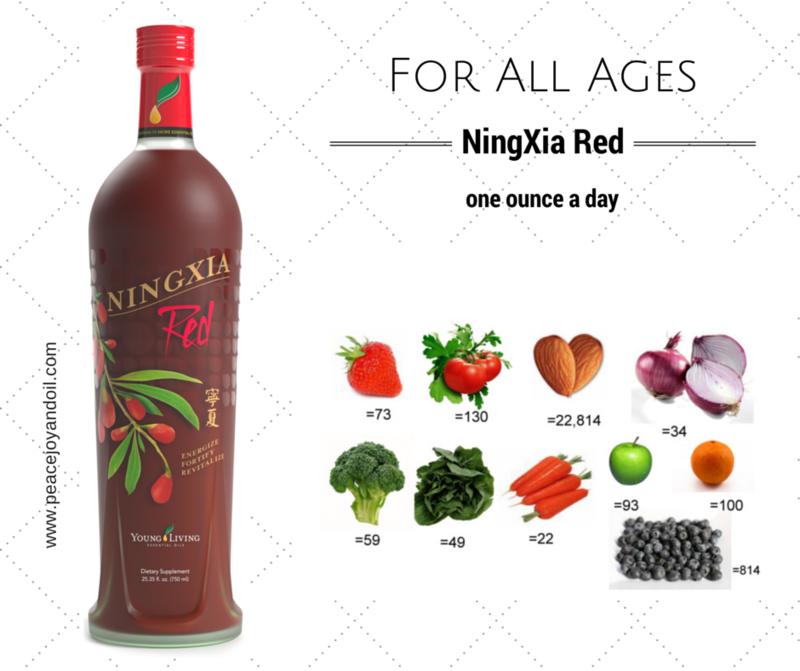 So, to recap if you buy the PSK you will receive 12 oils, a diffuser, a roller ball attachment, oil samples, samples of our amazing Antioxidant drink Ningxia Red, a reference book, capsules and you will be entered in Two drawings. 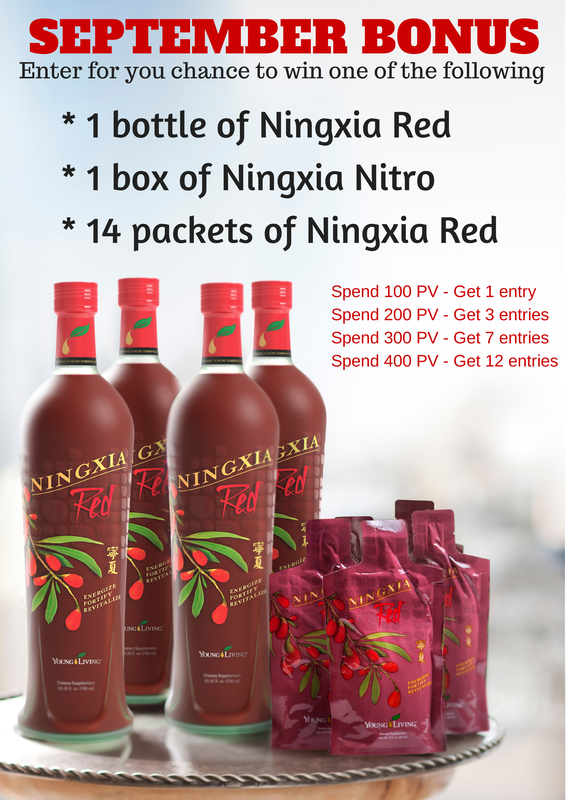 If you add a couple items to your order and spend 200 PV you will receive everything mentioned above + be entered in both drawings but you will earn more entries into the Ningxia Red drawing and Young Living will send you Raven 5ml EO and more Essential Oil Samples. 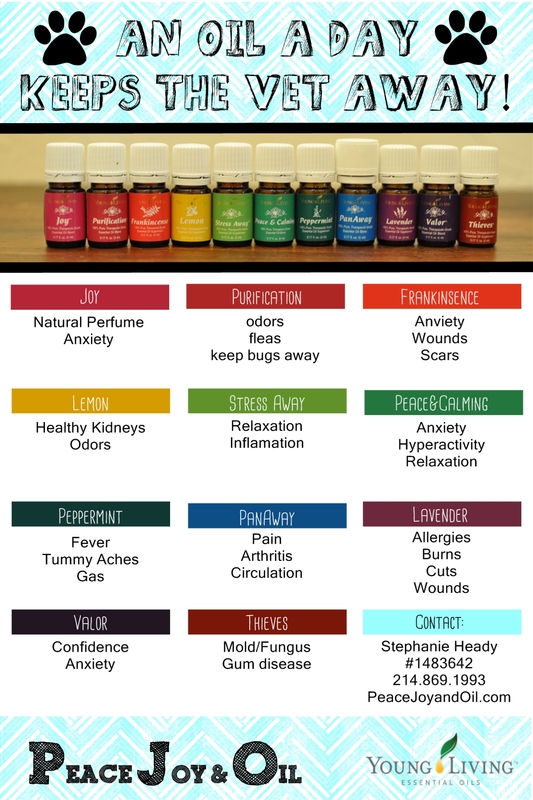 Raven is one of my go to oils in the Winter. 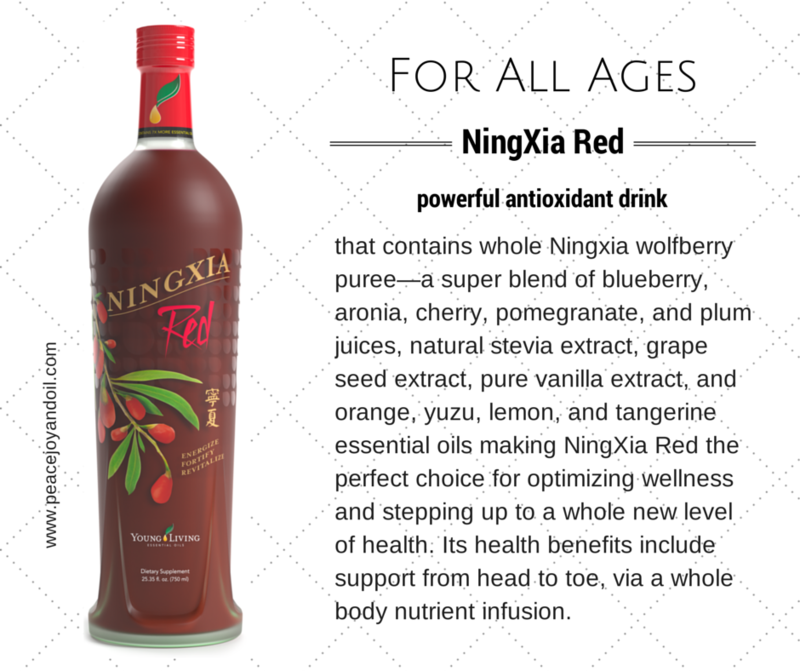 It is one of the oils that kept my son from getting bronchitis this past year. 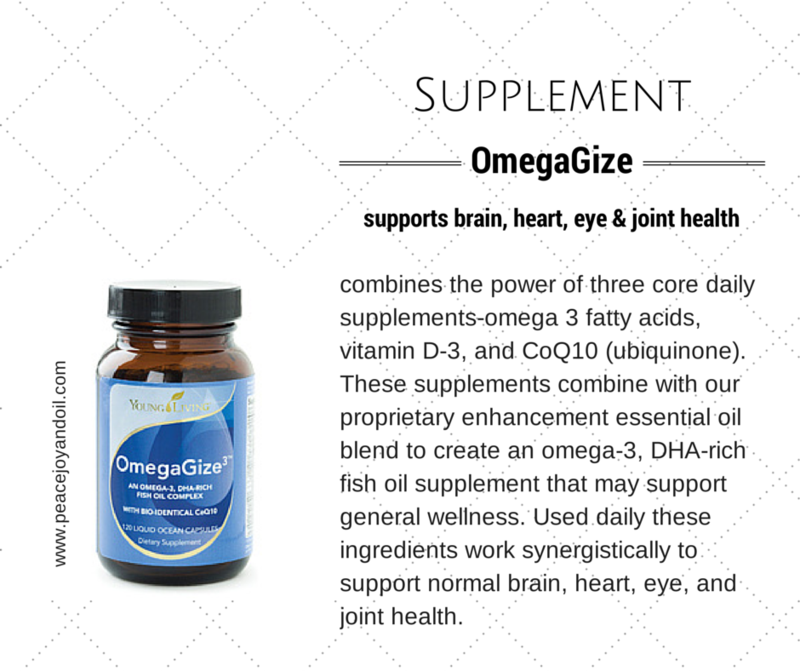 The Oil Samples are great to keep in your purse, to take on trips or to pass out to friends. If you are overwhelmed, you are not alone. Send me an email and I will take care of you peacejoyandoil@gmail.com. 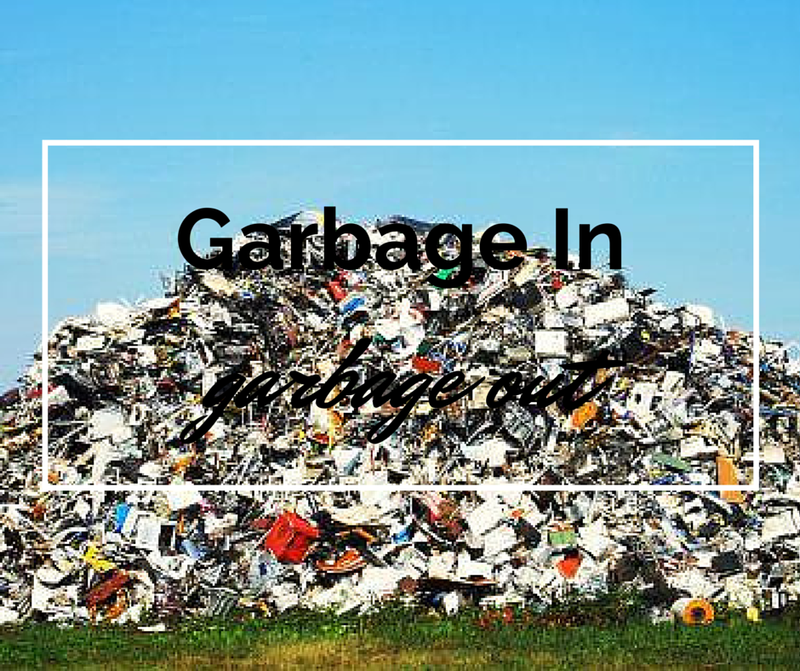 If you are ready to get started click here. 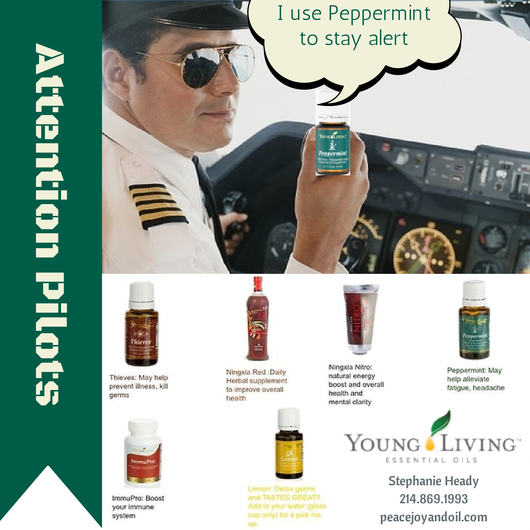 If you are a Pilot or know a Pilot, please share. 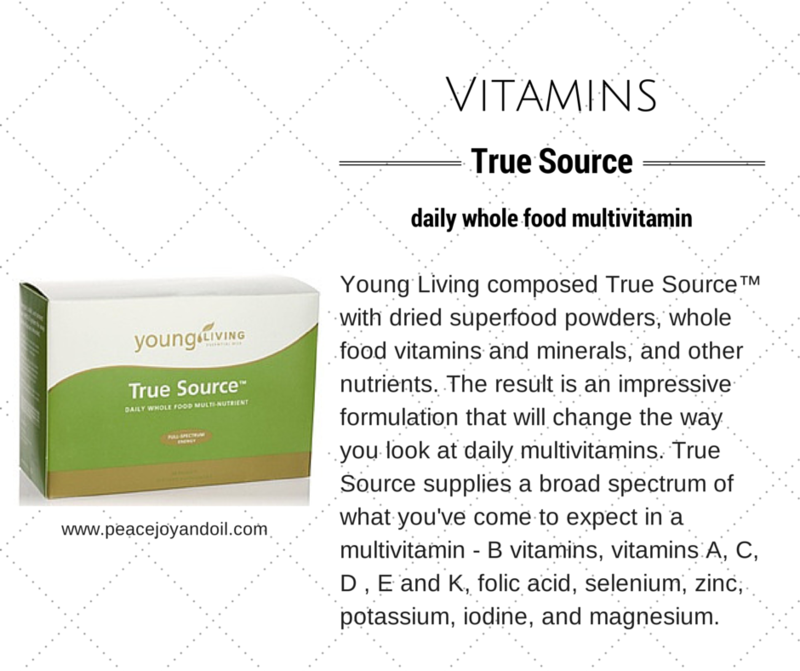 Young Living offers a natural alternative! No more missing flights!! Everyday is National Dog Day in our home! We have the most loved, spoiled rotten, 90lb lap dog. He really is the best dog though. 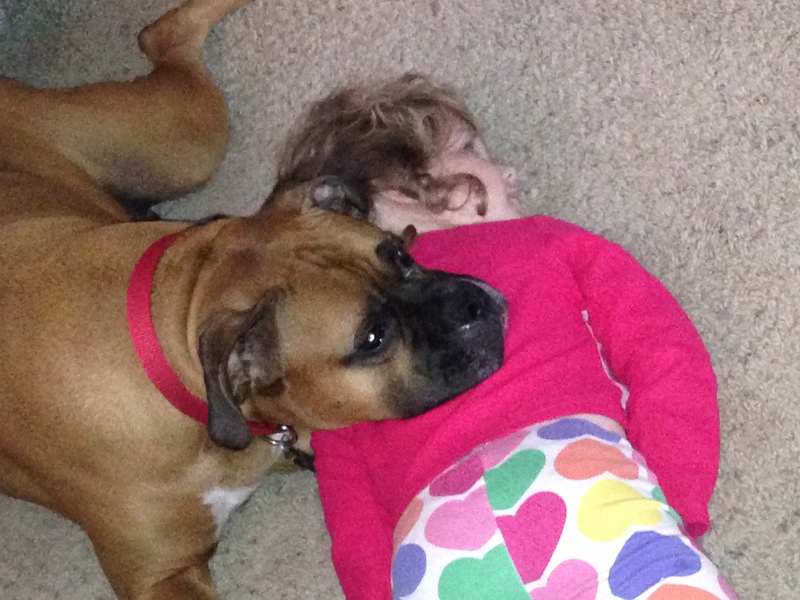 He lets our children climb all over him. I love him so much I even share my Young Living Essential Oils with him. That’s right even our dog is Oily! When I use oils he will follow me with his nose in my hand. He loves his oils. When Champ had a wound under his eye I applied Frankinsence and Lavender and then applied a warm compress. When it is storming outside I apply Peace & Calming right behind his ears and lays down and goes to sleep. When he has gas I rub peppermint or DiGize on his stomach. 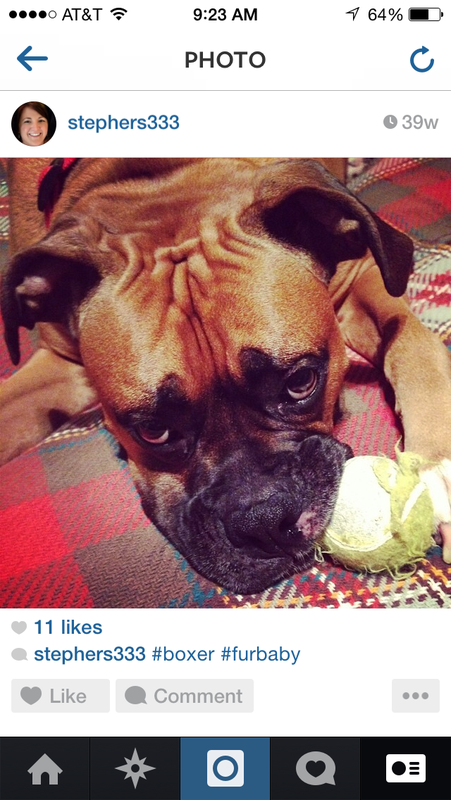 He is a Boxer, this is often! I spray his bed down with a Purification spray that you can find here. I also spray this on him when we he is outside longer than just going to the bathroom. 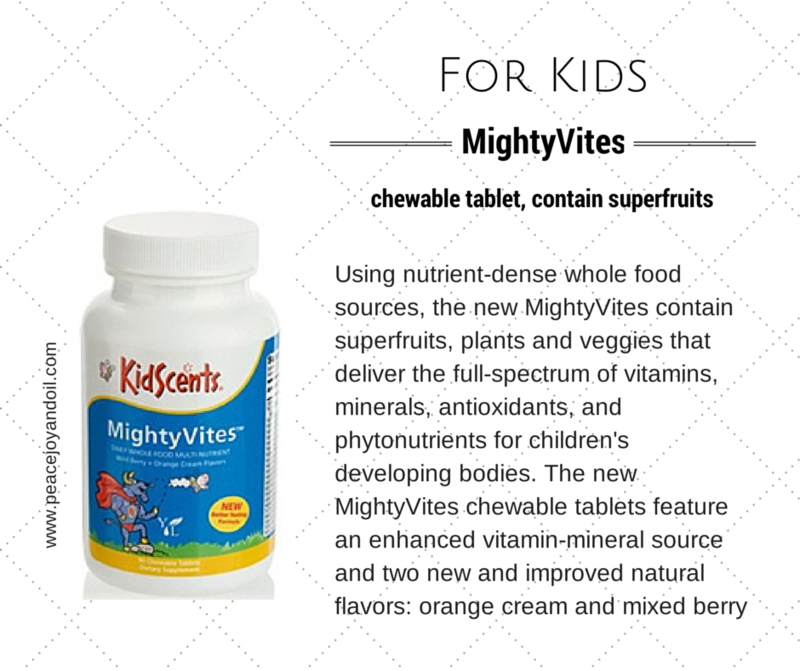 So your Premium Starter Kit is great for your WHOLE Family, even the fur-babies! 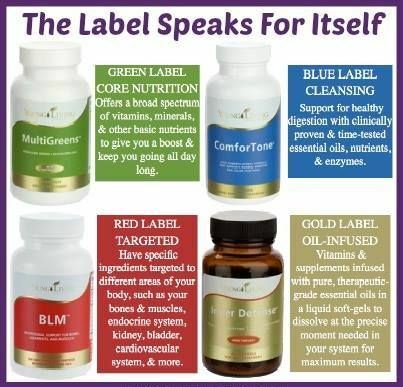 Get your own Premium Starter Kit here. 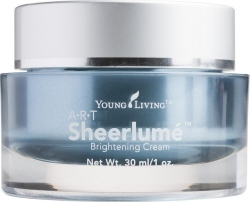 After writing about Sheerlume and showing you my before and after, I decided I should give one away! This stuff is that amazing!!! Finding a skin care product that I love is not an easy task. I have very sensitive skin and have tried so many things that claim to be natural or good for sensitive skin. 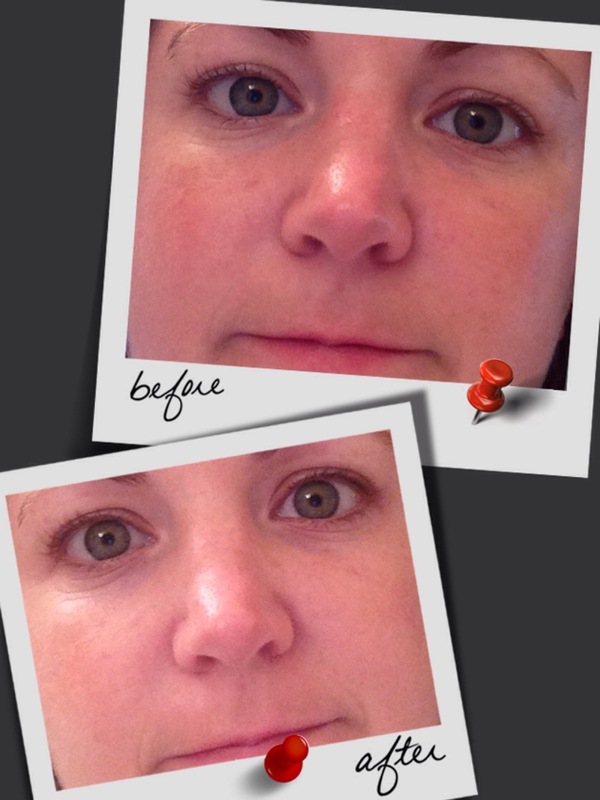 They all burn or turn my face very red, make my eye hurt, breakout in a rash……. When I joined Young Living a year ago I saw the ART skin care line and wondered, but I really wanted to hear more testimonies about it before trying it. So, I listened to anyone that brought it up and asked lots of questions. I never came across anyone that said anything negative about it. I received it in July and was so anxious to get started. I took a before picture. The awesome thing is that it hasn’t even been a month yet and I am already seeing results. So I had to share. These pictures were taken in the exact same spot and have not been edited. 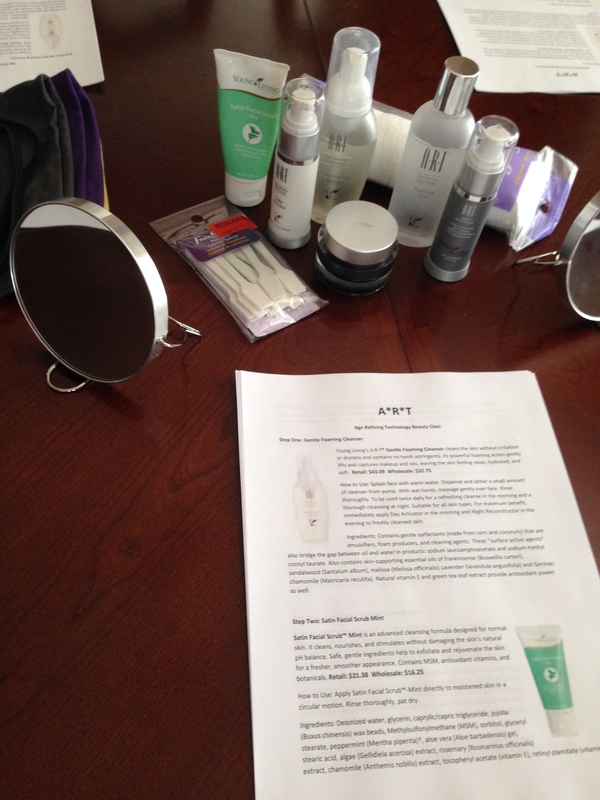 I wanted to share my love of theses products and hosted a class for a few friends to come try them. How to Use: Splash face with warm water. Dispense and lather a small amount of cleanser from pump. With wet hands, massage gently over face. Rinse thoroughly. 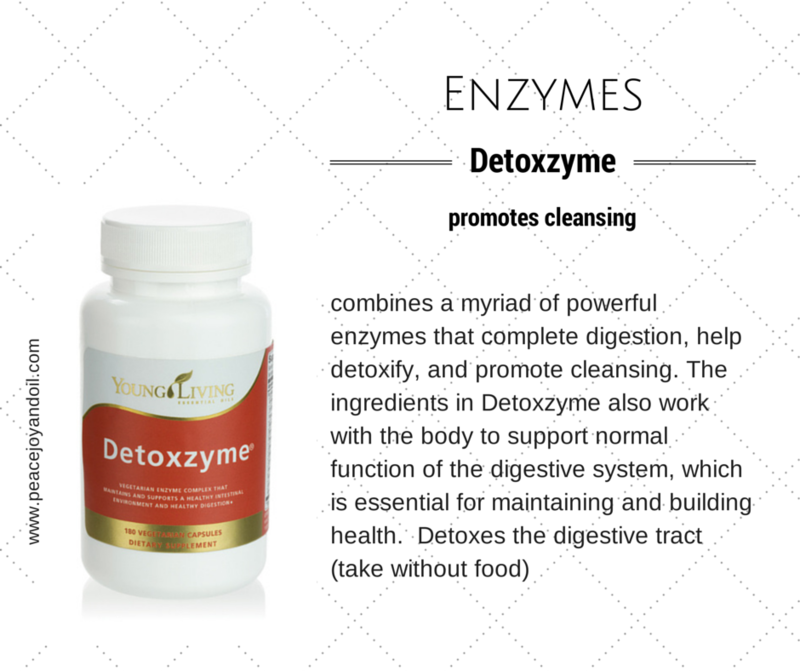 To be used twice daily for a refreshing cleanse in the morning and a thorough cleansing at night. Suitable for all skin types. For maximum benefit, immediately apply Day Activator in the morning and Night Reconstructor in the evening to freshly cleansed skin. 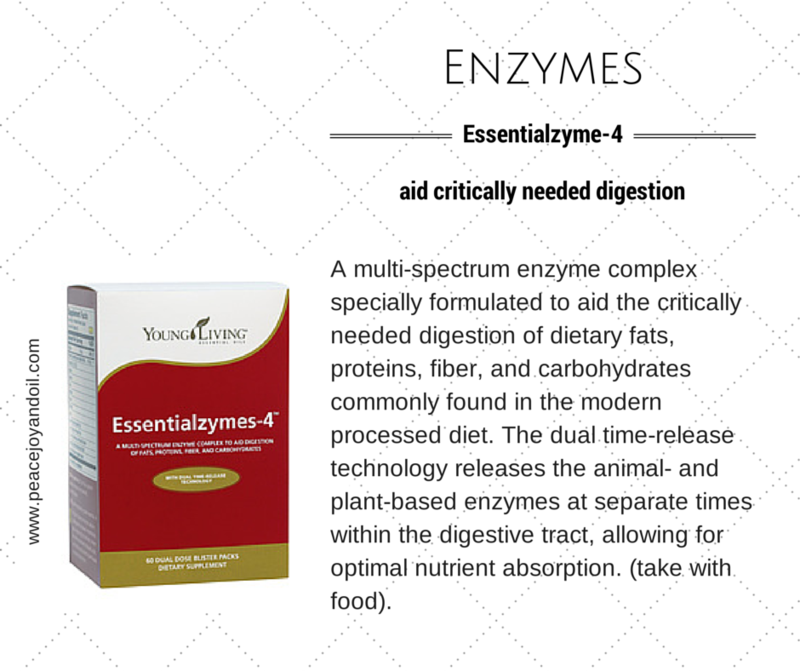 Ingredients: Contains gentle surfactants (made from corn and coconuts) that are emulsifiers, foam producers, and cleaning agents. These “surface active agents” also bridge the gap between oil and water in products: sodium lauroamphoacetate and sodium methyl cocoyl taurate. 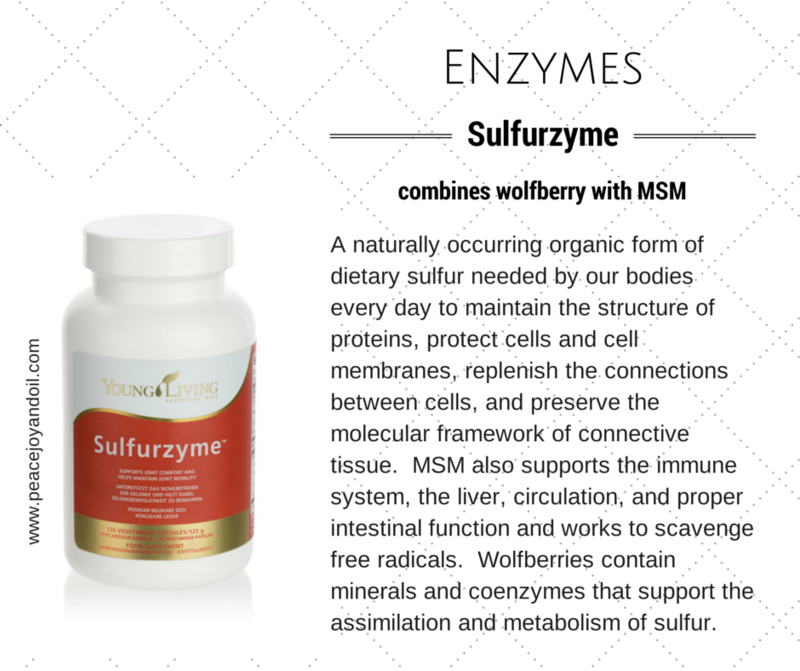 Also contains skin-supporting essential oils of frankincense (Boswellia carteri), sandalwood (Santalum album), melissa (Melissa officinalis) Lavender (lavandula angusifolia) and German chamomile (Matricaria recutita). 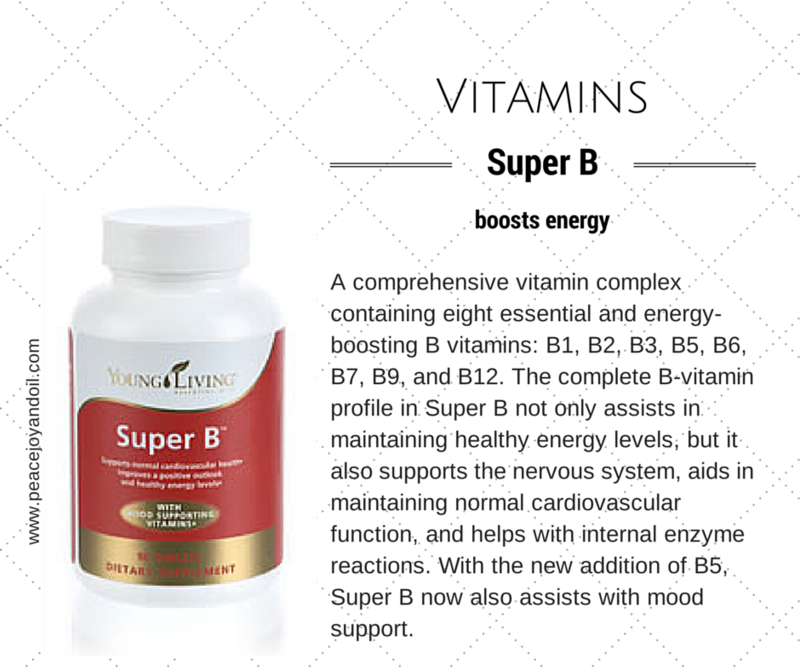 Natural vitamin E and green tea leaf extract provide antioxidant power as well. 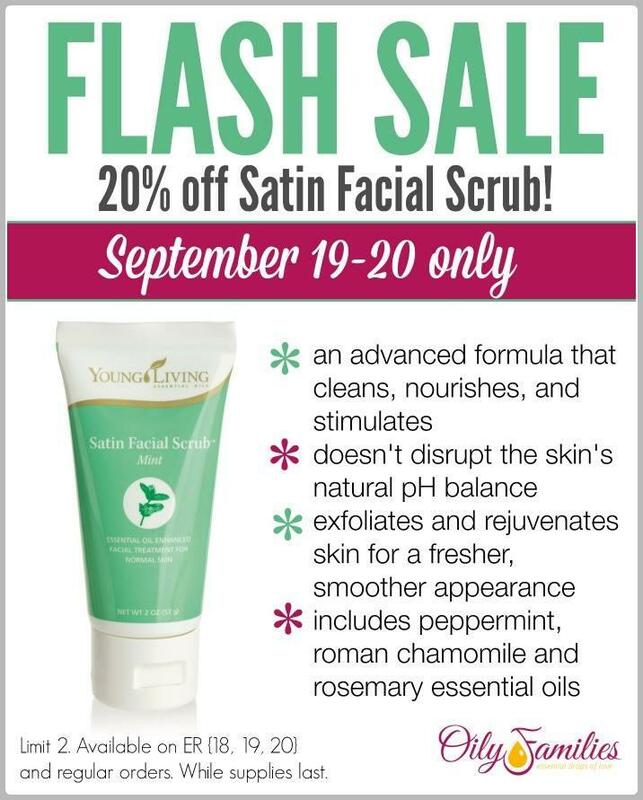 How to Use: Apply Satin Facial Scrub™-Mint directly to moistened skin in a circular motion. Rinse thoroughly, pat dry. 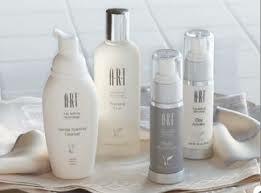 How to Use: After cleansing with the A·R·T® Gentle Foaming Cleanser, sweep Toner over face with a cotton ball. Can be used in the morning and again in the evening. For best results, apply the A·R·T® Day Activator or Night Reconstructor cream over the Toner. Shake well before use. Suitable for all skin types. For external use only. Store in a cool, dry place. 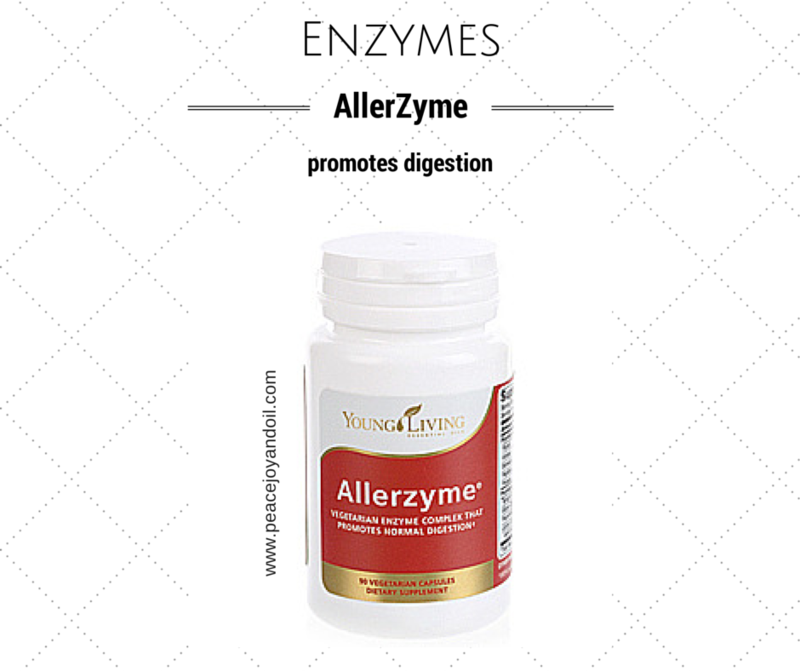 How to Use: Day Activator: Apply in the morning after cleansing. Using fingertips, massage a generous amount (usually two to four pumps) of Day Activator over face and neck regions as needed. Suitable for all skin types. For maximum benefit, Day Activator should be used with Young Living’s Gentle Foaming Cleanser and Night Reconstructor Cream. Day Activator should be reapplied after prolonged sun exposure. How to Use: Apply a thin layer of Sheerlumé™ on clean skin—face, neck, or hands. For best results, use morning andnight either alone or under your favorite Young Living® moisturizing cream. Caution: Keep out of reach of children. For external use only. Avoid contact with eyes. *If you are signed up for Essential Rewards you can get the ART Essential Rewards Kit for $125 wholesale! 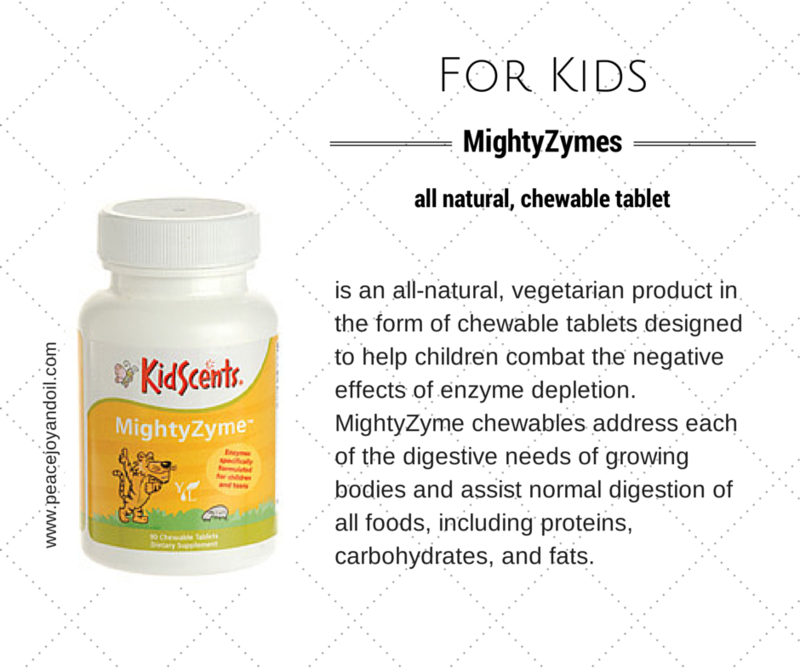 This is a savings of $48.75 Wholesale and a savings of $103.61 Retail!!! 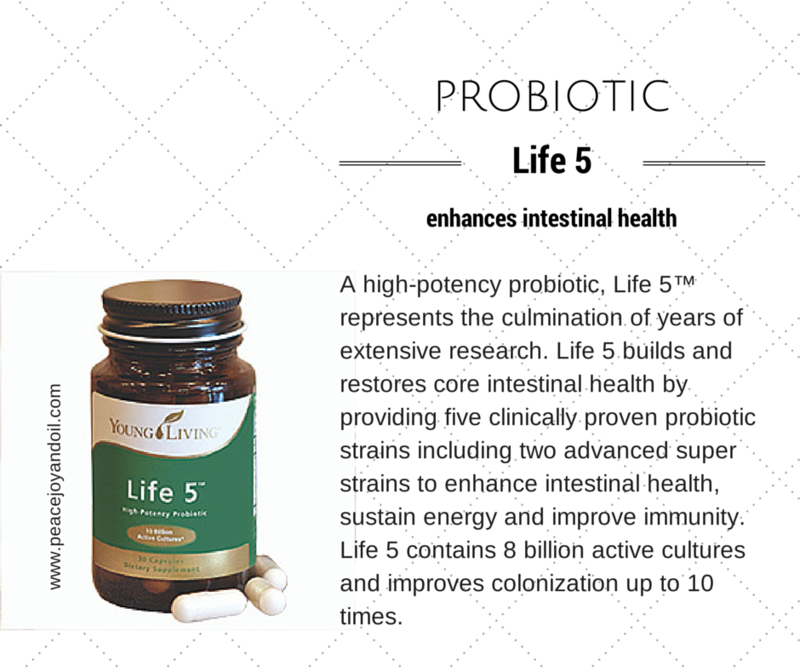 I would love to help you get started click here. 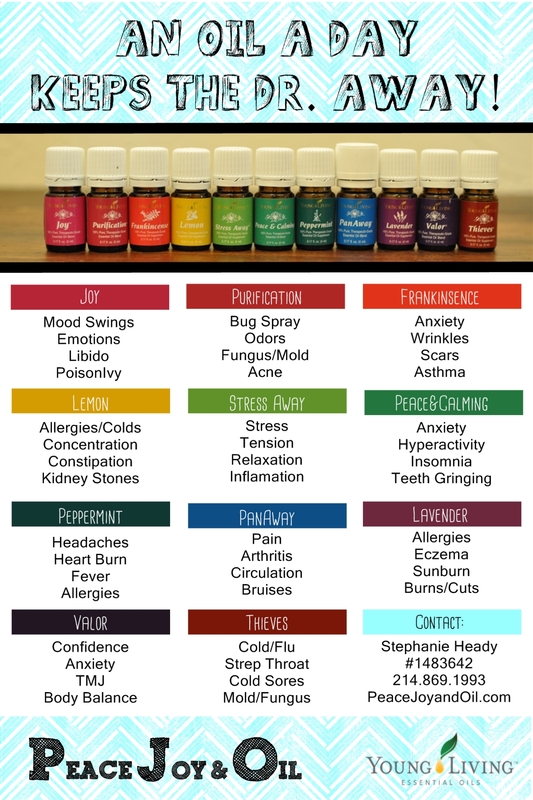 Using Young Living Essential Oils daily is a great way to prevent picking up that nasty cold or cough that you were exposed to standing in line at the grocery store. 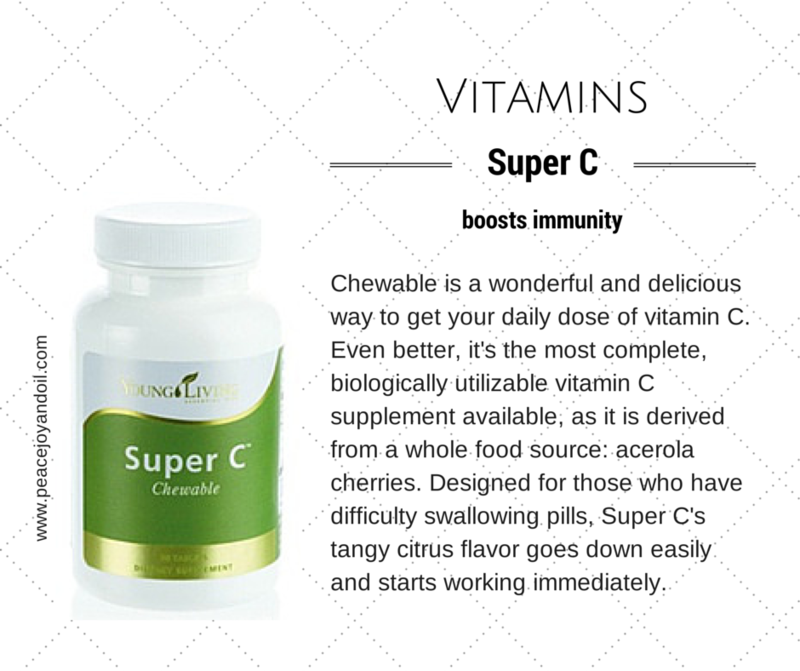 Using them daily will keep your immune system healthy and happy. 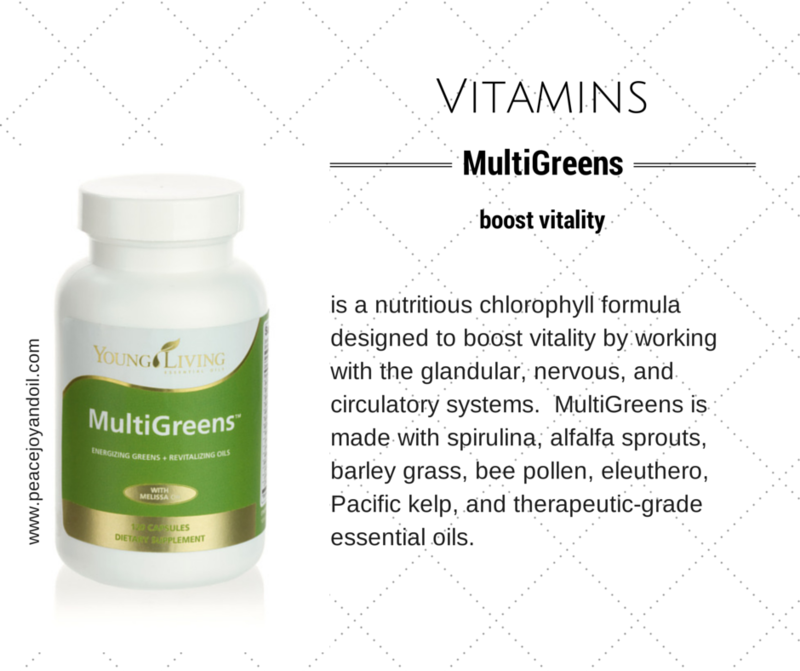 If you are interested in getting started click here.